I spent most February (aka Open Day Month) consumed in open data. There were many open data events happening in BC, some we organized or helped organize and others that were important to share with our community. By Feb 16 I was even dreaming about our (#VODDay) activities. It was worth it! 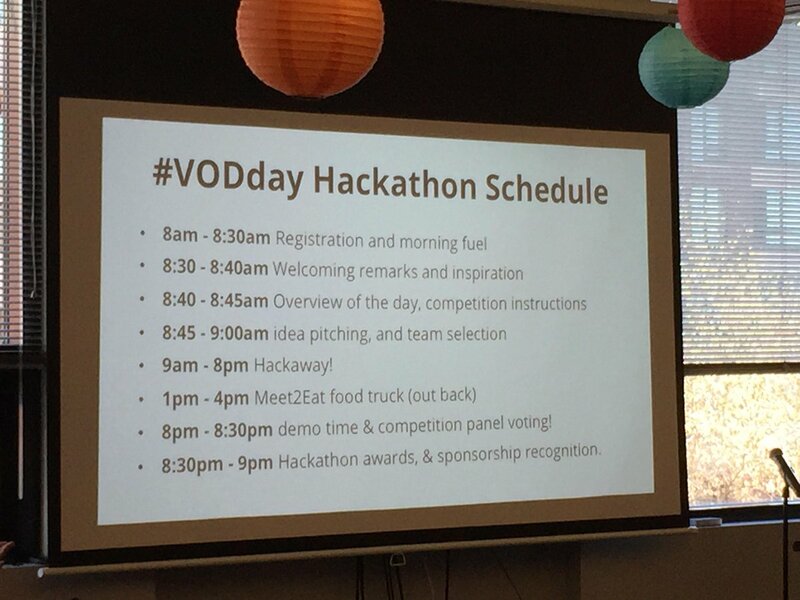 I'm so appreciative of everyone who came out to our (#VODDay) Hackathon! To our sponsors... you provided the opportunity for us to offer (#VODDay) prizes for participants, you provided an innovative and friendly space, you provided nourishment for hardworking participants. But the real value of your sponsorship is your recognition of the value of open data innovation. To our mentors... you supported teams throughout the day, answering questions about specific data sets, best practices, tools to use. Sometimes this was pouring a glassful from the growler as participants hunkered down near the end of the day. You were amazing! To our opening speaker... Thank you for inspiring us. You reminded us of the potential of open data, you reminded us that the biggest takeaway is the people that you meet and the things that you learn. The impact of your words lasted far longer than the morning's caffeine! To our competition panel... you asked insightful questions, gave participants new ideas to expand or refine their open data project, and you carefully deliberated over all the open data apps. Most importantly, you helped recognize the hard work of participants during the day. Thank you to our competition panel! To our participants... you made this day a success. Your participation and hard work, your desire to solve a problem or tell a story, your interest in learning news skills... they made the day what it was, and it couldn't have happened without you! Thank you! While we have prizes for the best prototypes under four categories, this hackathon was really about discovering new ways open data could be helpful for ordinary people looking to have better information in their decision making. It's about reminding everyone why it's important to have all sorts of information available in an open and accessible format. Take a look at all the open data apps and visualizations made at the Vancouver Open Data Day Hackathon, including the prize winners for, Best visualization, Best application (overall), Best mobile accessible app and Best app in the cloud!